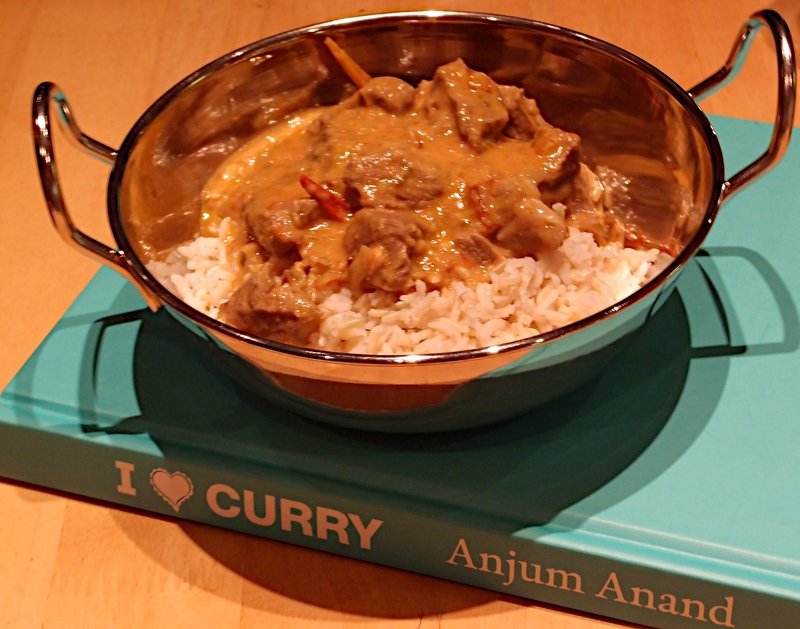 The best curry we’ve ever made by a mile! This was fabulous – so much lighter than takeaway and the lamb just melted. Our whole chillies kind of disintegrated into the sauce so prepare yourself for a good chilli kick. You can grind the whole spices in a mortar and pestle but we’ve invested in a little electric spice grinder which turns them into fine powder almost instantly. A microplane is the way forward for grating ginger and garlic. Two of our more successful kitchen gadgets! Use your spice grinder or mortar and pestle to pound the spices to a fine powder. 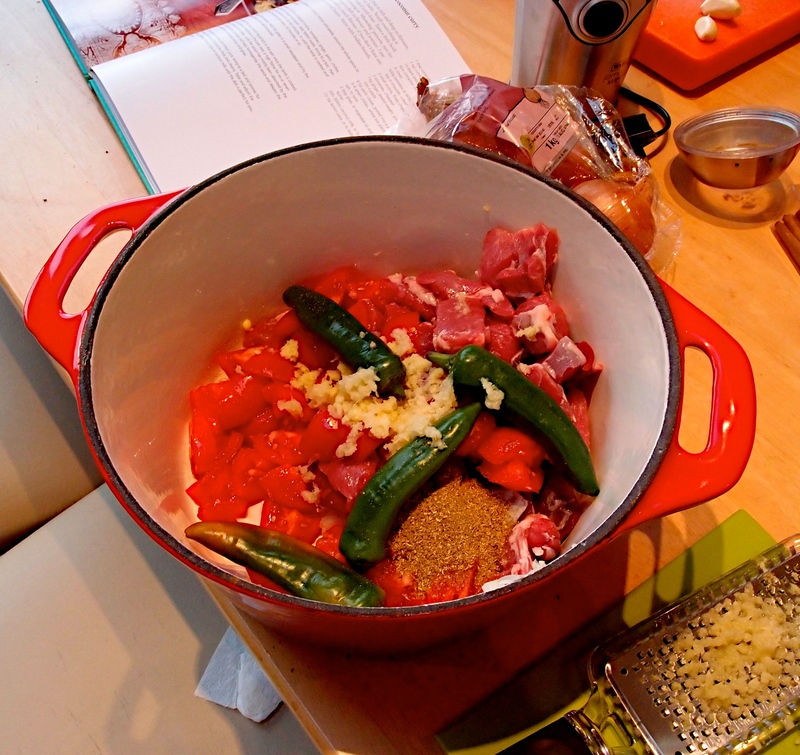 Put the lamb, 2 of the chopped onions, tomatoes, ginger, garlic, chillies, spices and salt in a large saucepan. Add 500ml water, bring to a boil, then cover and cook gently for 45-60 minutes, or until the lamb is cooked and soft. Give it a stir every 10 minutes or so. After about 45 minutes, melt the ghee in a small saucepan and fry the remaining onion until well browned. Once the lamb is cooked you need to cook off all the excess moisture over a high heat, stirring often, until almost all the sauce has been absorbed by the lamb. This is called bhunoing and helps deepen the flavours (try it before and after to see the difference it makes). Add the browned onion and ghee. Pour in the coconut milk and lemon juice, bring to a boil and simmer for 5 minutes; the sauce should be thick and creamy. Taste and adjust the seasoning, and add lemon or coconut milk until it tastes amazing. We served this with brown basmati rice. That does look amazing! 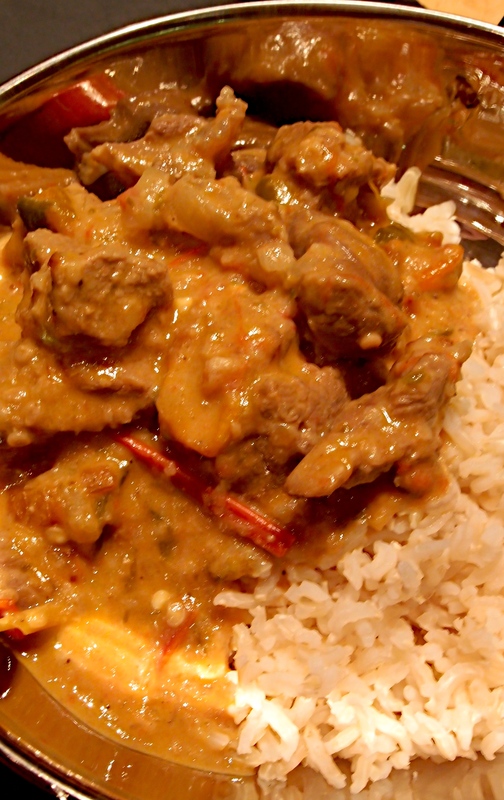 I’m trying to cook more curries, but right now in the throes of summer heat, won’t be making any soon. Too funny. I was just thinking about how I’ve not made enough curries. This looks great! Hey guys. We live in Ireland so summer heat is not a problem!! This is really delicious and so simple – we think the ‘bhunoing’ is the trick to get the deep flavour.